This entry was posted in AGP Taxi on Friday January 15th, 2016 by . Malaga Airport is one of the main Spanish Airports and most important airport in Andalusia. It is for this reason that many commercial flights, despite not being your destination Malaga, landing in the capital of the Costa del Sol, so travelers have to resort to other means of transport to move them from the Airport Malaga to its final destination. 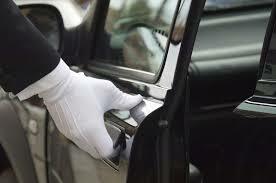 AGP Taximalaga we offer these travelers our shuttle service to and from Malaga Airport. Our customers can request taxi pickup at Malaga Airport AGP previously hired Taximalaga and leave and closed in advance, their transfer to their final destination. Hiring a private taxi pick previously has many advantages. Among them is the convenience of having one of our drivers AGP Taximalaga waiting on arrival at Malaga Airport. Our drivers will show a sign with the customer’s name to avoid confusion and if the flight is delayed, there is no problem, we look for your arrival. Among other advantages previously hired your AGP Taximalaga displacement, it is the pre-set rate private taxi, this way, our clients will have a fixed price and avoid having unpleasant surprises when arriving at your destination. AGP Taximalaga You can move anywhere you specify. Among our main destinations, pick up at Malaga Airport, are for example Granada, Seville, Cordoba or the area of ​​the Costa del Sol. However, we also travel to other places outside of Andalucia, such as Madrid and Barcelona . Apply all the information you need on your private taxi transfer with AGP info@agptaximalaga.com Taximalaga through email or by calling us directly at (+34) 669 661 456 (number of AGP Taxi Málaga). AGP taximalaga we will be happy to assist you without any compromise.